Exterior of the Orpheum Theatre. Opened since 1928, the Orpheum Theatre continues to present the best of Broadway and showcase world-class musicians, comedians, and other entertainers on its stage. Proceeds from these performances, in addition to philanthropic support, fund extensive education and community outreach initiatives. Founded as an opera house in 1890 at the corner of Main and Beale Streets in downtown Memphis, the Orpheum Theatre Group (OTG) has evolved into a landmark performing arts campus and a promise for future generations of Memphians. OTG’s two stellar venues, the Orpheum Theatre and the Halloran Centre for Performing Arts & Education, offer an annual Broadway series, music series, film series, and theatre series in addition to playing host to concerts, comedians, dance performances, community events, and more. As such, OTG serves not only Memphis and the Mid-South region, but its broad range of entertainment programming draws visitors from across the United States. Each year, more than a quarter million people file through the venue’s historic doors to enjoy the finest in education programs and diverse entertainment. Exterior of the Halloran Centre for Performing Arts & Education. To accommodate a blossoming education program, the Halloran Centre was built next door to the historic Orpheum Theatre. Named for former President and CEO Pat Halloran, the 39,000-square-foot facility features a 361-seat theatre, classrooms, and multi-use event spaces. In 1890, many of Memphis’s business leaders felt the city’s growth could be bolstered with the addition of a substantial theatre to attract the bigger and better vaudeville acts coming from the East Coast. The Grand Opera House was built on the corner of Main and Beale, just a stone’s throw from the Mississippi River. The Grand Opera House quickly became known as the classiest theatre outside of New York City and began hosting some of the best shows in the South. The Grand eventually became part of the Orpheum Circuit of Vaudeville and officially became known as the Orpheum in 1907. A disastrous fire in 1923 ended the original Orpheum’s reign as the epicenter of the city’s entertainment district. Five years later, an even brighter Orpheum would open with brocade draperies, crystal chandeliers, gilded moldings, and a Mighty Wurlitzer organ that is still played today during the Orpheum’s annual summer movie series and special events. Interior of the 2,300-seat historic Orpheum Theatre. The Mighty Wurlitzer organ is visible in the right-hand corner. The organ along with the building itself celebrated its 90th birthday in 2018. Dramatic changes in the entertainment world – vaudeville had given way to motion pictures – would see the Orpheum transformed into the MALCO in 1940, a venue for first-run movies. But 35 years later, the venerable theatre could not survive the changes to the urban landscape that Memphis and other cities across the country were experiencing in the 1970s. Less than a half-century after its lavish revival, the Orpheum was in danger of demolition. In 1977, the Memphis Development Foundation purchased the building and restored its name back to the Orpheum. Broadway shows and live performances soon returned. The Orpheum Theatre also became one of the first buildings in Memphis to be added to the National Register of Historic Places. Restored in 1982, followed by even more expansion and improvements in the 1990s, would lead to world-class entertainers performing on the Orpheum stage along with Broadway favorites, including The Phantom of the Opera, The Lion King, Wicked, CATS, Les Misérables, and others. 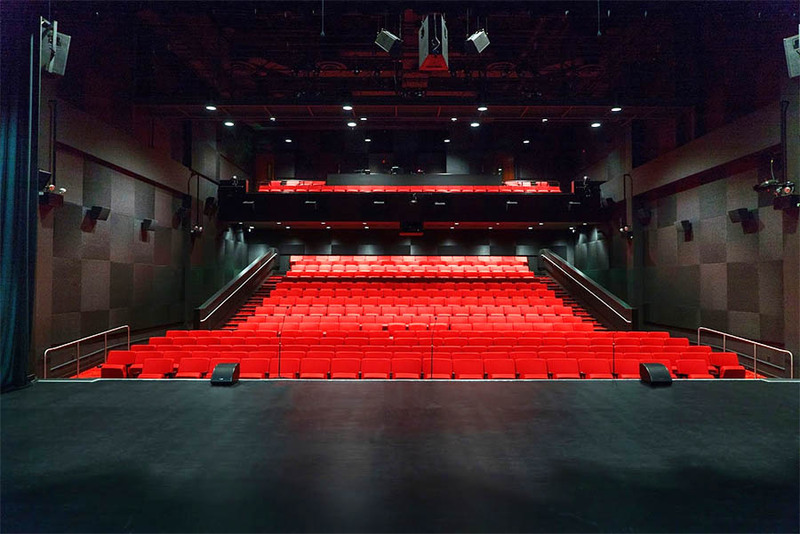 In 2015, the Halloran Centre for Performing Arts & Education was opened to facilitate the Orpheum’s growing education programming. The following year, under the leadership of President and CEO Brett Batterson, the Memphis Development Foundation was rebranded as the Orpheum Theatre Group and a new mission was established. The Orpheum Theatre Group today is proud to be a leader in programming quality entertainment along with increasingly popular educational initiatives. In addition to bringing the best of touring Broadway to the Mid-South, OTG is active in the Broadway League and the Independent Presenters Network. With its Independent Presenters Network colleagues, OTG is a partner on many New York productions and has received four Tony Awards for Broadway producing, most recently for The Band’s Visit in 2018. The Orpheum’s volunteer usher organization, Friends of the Orpheum (FOTO), received the 2016 Star of Touring Broadway Award for their years of service to the Orpheum and their renowned hospitality towards touring Broadway productions including a home-cooked meal for casts and crews that has become legendary. As a non-profit performing arts institution, the Orpheum Theatre Group relies on philanthropic support to sustain its education programs, diverse programming, community vitality, and preservation. The generosity of Mid-South donors and patrons and the hundreds of volunteers that comprise FOTO are vital to the Orpheum’s impact on Memphis. 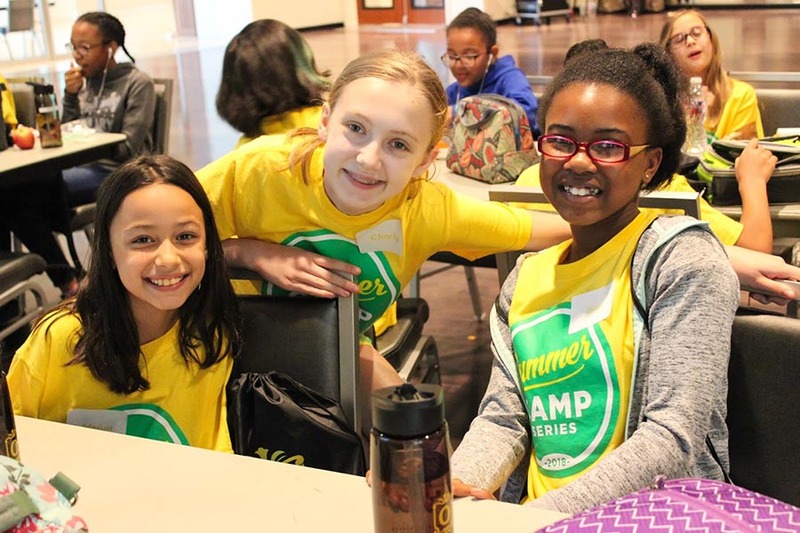 Each summer the Orpheum Theatre Group presents a variety of camps for students entering third grade to high school graduates. 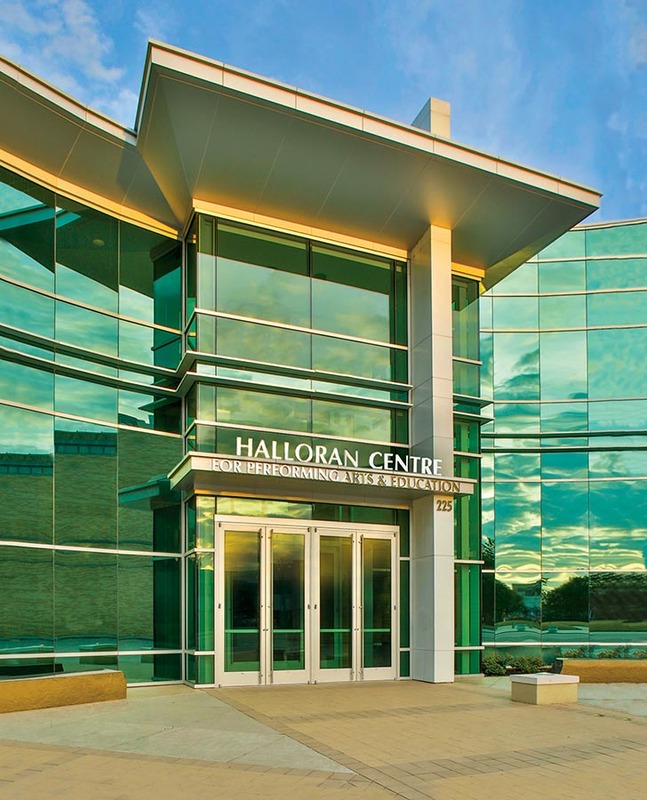 With the addition of the Halloran Centre in 2015, OTG’s education programs continue to grow and impact thousands of Mid-South teachers and students. The Orpheum’s Student Matinee Series grant program provides a chance for all students, regardless of resources, to be exposed to live theatre. The annual Orpheum High School Musical Theatre Awards, modeled after the Tony Awards, supports, promotes, and enhances high school musical theatre throughout the Mid-South. Teachers throughout the year have opportunities to learn through professional development workshops led by Kennedy Center teaching artists. Broadway 101 and Backstage 101 allow students grades 7-12 to take a master class with touring Broadway cast and crew members and then see the show that same evening. In 2017, a performing arts summer program called Mending Hearts Camp was started for children who have experienced the death of a parent. Through extensive workshops, master classes, and summer camp programming, OTG’s employees, staff, volunteers, and friends work to improve the quality of life for all the residents of the region. 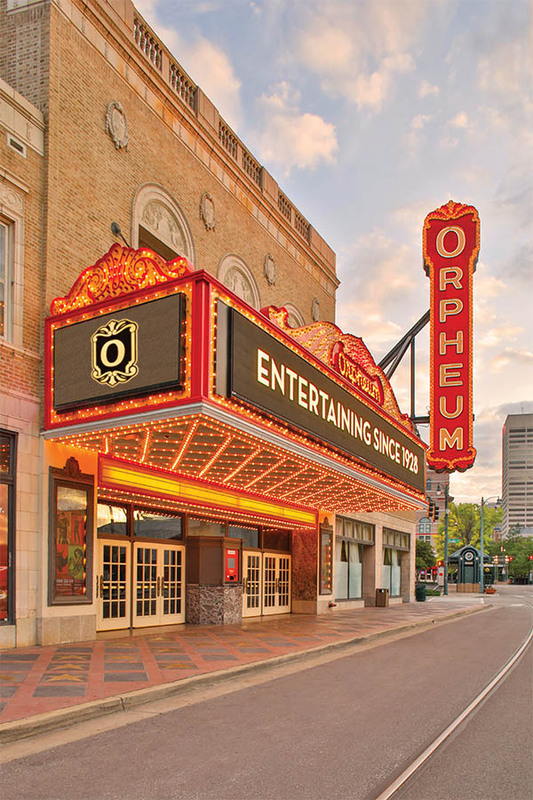 With its two performance venues and growing education programs, the Orpheum Theatre Group continues to entertain, educate and enlighten its audiences and remains a leader in the Bluff City’s performing arts community.